It is unusual to come across such an elegant, solid, cast bronze, chiming on a bell, Cartel Clock -- especially one with such a great design -- in excellent condition. It even has a very high quality jeweled platform escapement movement, so it does not need/use a pendulum to run. 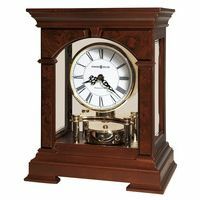 It is ESPECIALLY RARE to come across a bronze Cartel Clocks of this quality (and intricate yet simple design) that ALSO bears the name of Tiffany & Company. We sold a similar clock on eBay about a year ago, without Tiffany & Company on the dial, and it sold for about $2,000 (we have seen the occasional ones for sale marked Tiffany sell, over time, for considerably more). That one was signed by Japy Freres, and signed on the movement only, and had not received the Gold Medal Award. This clock has a movement signed by the equally if not more prestigious Samuel Marti, with the date 1900, and showing that this clock won the Medal D'OR (Gold Medal). It also has the VERY LOW number 215 stamped on the movement. When one thinks of it, one has to wonder how many of these clocks were sold by Tiffany in or around 1900. This is an extremely rare clock that one will not often come across. We only see clocks of this type and quality, whether signed Tiffany & Co. on the dial or not, perhaps an average of once a year. 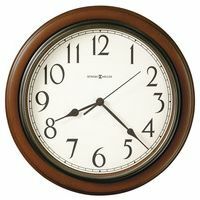 The clock is a keywound 8 Day time and strike movement, and has its original porcelain dial, which is in excellent condition (there is a very minor light scratch around the edge/perimeter of the dial to the right of 25 minutes past the hour, but it does not even show when the bezel is closed). The glass over the clock dial appears to be its original, and thick, beveled glass. 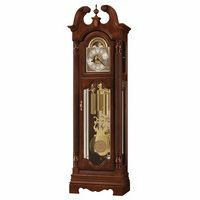 The clock is in excellent running condition, keeps very good time, and strikes well and especially beautifully (on a nickle bell). On the Dial sit Solid filigree bronze Hour and Minute hands that look completely original to the clock. The entire case is made of solid bronze.